not against, natural processes. Management strategies need to be adaptable to changing conditions to ensure preservation for future generations." Thursdays, Feb. 4 and 18, 10:30 to 11:30 am, Edgartown. Nature program for ages 3-5 at Felix Neck Wildlife Sanctuary. 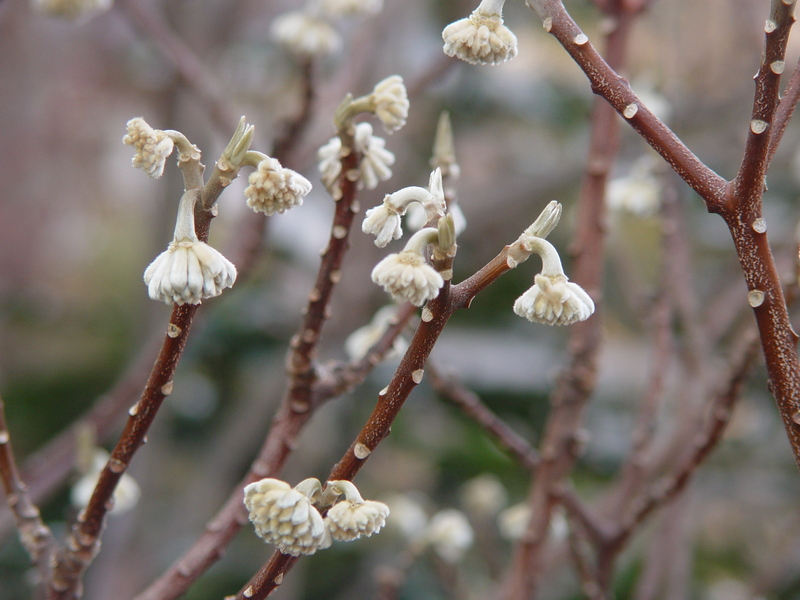 Look for signs of winter and enjoy stories, crafts, walks, live animal presentations and more. $9 ($6 for Mass Audubon members),call (508) 627-4850 or see website for more info. Saturday, Feb. 6, 11:00 am to 1:00 pm, West Tisbury. Head down to the Long Point Visitor Center for a variety of educational programs for children and families. Trustees of Reservations staff will be available to answer questions and assist with getting started on the right activity. Snacks and hot drinks are provided, $10 per child ($5 for TTOR members), for more info see website, call (508) 693-7662, or email. Sunday, Feb 7, 1:00 pm, Oak Bluffs. Land Bank staff lead a guided walk at the Pecoy Point Preserve on Major's Cove/Sengekontacket Pond. The walk will last approximately 1.5 hours, and happens rain or shine, so dress for the weather. For directions and more information, see the property website or call (508) 627-7141. Saturday, Feb. 13, 10:00 am, West Tisbury. Join Polly Hill staff to explore the Arboretum grounds in the off-season. Winter is when bark patterns and architectural structure become evident as deciduous trees lose their leaves, the conifers stand out with their many textures and shades of green, and even some fruits and flowers appear. Tours run for a little over an hour. Meet at the Visitor Center and dress for the weather. Free. More info at website or call (508) 693-9426. No matter the season (except maybe high summer, at peak demand), there is one local food always readily available: the amazingly versatile chicken egg. Here’s a novel idea, quite opposite to the usually heavy dishes of winter – learn to make your own egg drop soup, starting with this recipe created for Island Grown Schools by chef Robin Forte. Our next Winter Walk continues the VCS 50th anniversary celebration of landmark conservation successes with a visit to the Edgartown Harbor beach and lighthouse. Please join us Sunday, Feb. 14 at 1:00 in front of the Harbor View Hotel for a special Valentine’s Day adventure through Island conservation history. VCS is partnering with the MV Museum to provide access to the lighthouse during the walk, and with the Harbor View, who will host us for refreshments afterwards. The walk is free and open to the public. The original Edgartown Lighthouse dates to 1828, but the structure sustained massive damage in the 1938 Hurricane and was torn down the following year by the U.S. Coast Guard. 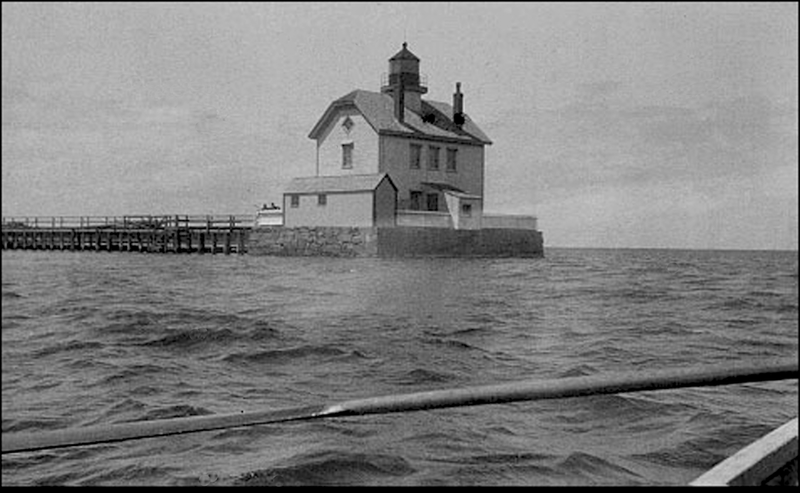 It was never rebuilt, strictly speaking; rather, it was replaced by dismantling the Ipswich Range Light (from Crane Beach, north of Boston) and sending it by barge all the way to Edgartown Harbor. That 45-foot cast-iron structure was originally built in 1881. It was refurbished in 1985 by the Coast Guard, and in 1990, solar-powered plastic optics were installed. The lease of the tower was transferred to the Dukes County Historical Society (today the MV Museum) in 1994, and a children’s memorial was established there in 2001. More History . . . The Harbor View Hotel and nearby Lighthouse Beach were central to a fierce land use dispute that began 40 years ago and ran for nearly a decade. Read all about it. With support from Selectmen, Boards of Health, and Conservation Commissions in each town, VCS has put an article on 2016 Town Meeting warrants that would ban the use of disposable plastic bags at checkout counters. In the interest of getting the word out and answering community questions and concerns, we're holding four info sessions (consisting of a short presentation followed by Q&A) over the next few weeks. Please come hear more about why this is an important move toward sustainability for our community, learn how it would affect you and have the opportunity to voice your questions and concerns. We hope that even those who already support the bylaw and know all about it will find time to come out for one of the sessions: it would be very nice to have some sympathetic voices in the audience! 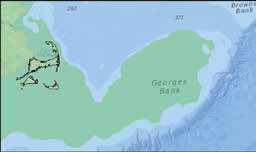 11,000 years ago, dry land extended over much of Georges Bank. While the eastern shore of outer Cape Cod was not too far from where it is presently, it would not have received the strong wave energy it now does. This bulletin from the Woods Hole Sea Grant and Cape Cod Cooperative Extension is a must-read for anyone seeking a concise summary of the science behind barrier beaches: their glacial origins, historical migration, and the current challenges of erosion and sea level rise. The short report covers several issues well, including lateral spit migration as a locally important process (using Norton Point as an example), and the gradual landward and upward movement of barrier beaches through the creation of inlets and tidal shoals.